Homeowners can find themselves upside down on their mortgages when declining home values and a lack of equity puts them in a position where they owe more on their mortgages than their homes are worth. This situation has plagued American homeowners since 2007, when the housing market began to slide into decline and head towards record foreclosures. The government has put several programs into place to help homeowners recover some value in their homes and get ahead of their mortgage debt. If your mortgage is underwater, you might want to talk to your lender about one of these federal programs. For homeowners who are having trouble making mortgage payments but cannot sell their homes because the sales price would not cover what they owe, there is the Home Affordable Modification Program, or HAMP. This government program helps consumers with upside down mortgages avoid foreclosure by encouraging lenders to provide lower monthly payments so homeowners can recover from financial hardship. According to the Treasury Department, the average savings for homeowners is around $530 per month. To take advantage of HAMP, a homeowner has to demonstrate financial hardship as well as the ability to make mortgage payments once the loan is modified. Homeowners who have managed to stay current with their mortgage payments but are unable to refinance their loans because of an upside down mortgage may be able to take advantage of the Home Affordable Refinance Program, or HARP. To be eligible for this program, you must have a mortgage guaranteed by Freddie Mac or Fannie Mae and the loan must have been sold to one of those agencies before May 31, 2009. You must also prove that your loan to value ratio is 80 percent or higher and that you have made on time mortgage payments for the last 12 months. If your underwater mortgage has made your home unaffordable and you have decided to leave it, you will not be able to sell it for a price that will cover your mortgage. The Home Affordable Foreclosure Alternatives Program, or HAFA, can help homeowners in this predicament by helping them get out from under the mortgage burden and avoid foreclosure through a short sale or deed in lieu of foreclosure. You will need to get approval from your lender and demonstrate that you are not eligible for the HAMP and HARP programs. 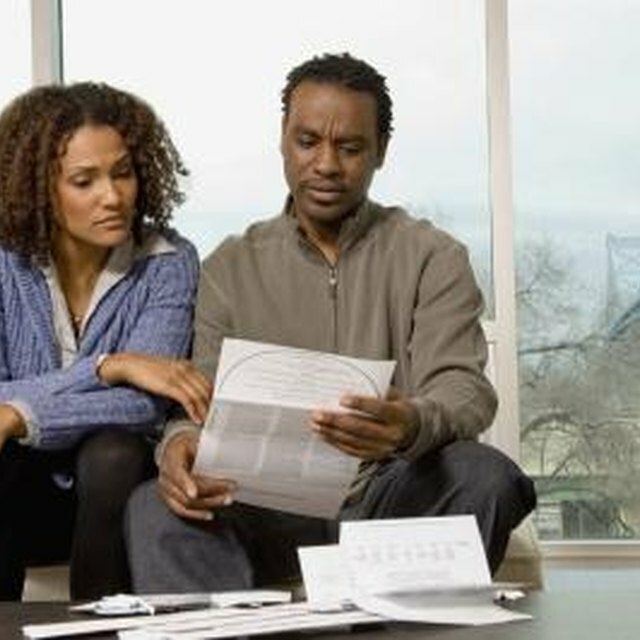 Your lender will also require you to explain your financial hardship. Your home must have been purchased prior to January 1, 2009, and your mortgage must be less than $729,750. Homeowners underwater on their mortgages are able to access funds for refinance and modification through the national mortgage settlement that was announced in February of 2012. The federal government and state attorneys general worked with the country's largest lenders, Ally/GMAC, Bank of America, Citi, JPMorgan Chase and Wells Fargo, to provide funds for borrowers who need to modify their loans or refinance at low rates to make their mortgages more affordable. For help in utilizing any of these government programs, contact your lender or a counselor at the Department of Housing and Urban Development.